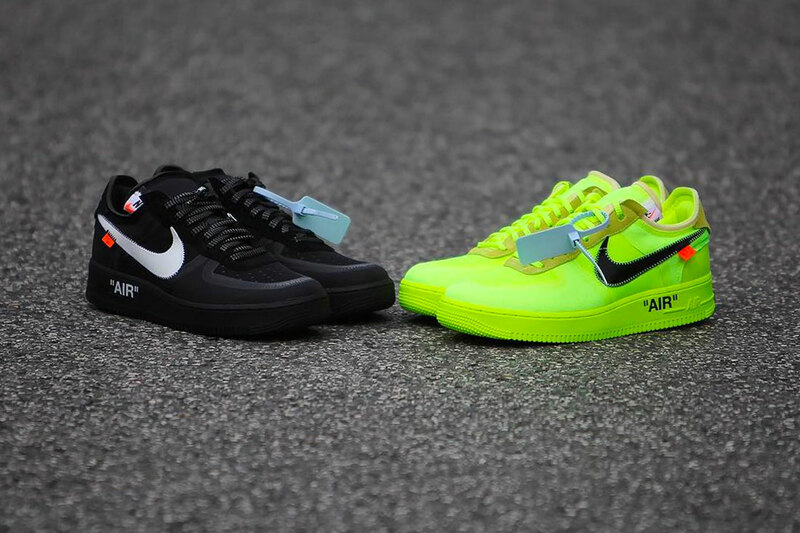 After months of teasers, we now have a December 19 release date for the Off-White™ x Nike Air Force 1 “Black” and “Volt” colorways. The latest additions to Virgil Abloh‘s ever-popular collaborative line with Nike feature TPE yarn uppers held together with taped seams and accented by suede hits at the heel and eyestays. Additional details on the upper include contrasting Swooshes at the midfoot, stitched orange tabs and baby blue zip ties. Finishing up the design are Nike Sportswear tags on the tongue and “AIR” emblazoned color matched sole units. Priced at $170 USD, the Off-White™ x Nike Air Force 1 in “Black” and Volt” are set to release at select retailers and nike.com on December 19. In case you missed it, Off-White™ released a new slide with heel straps constructed of its Industrial Belt webbing. Including Keith Haring x Medicom Toy collectibles. Working alongside local creatives in each city. Released for the first time in 28 years. Touching base on ending the beef with Drake. A day after the player won the Ballon D’Or.